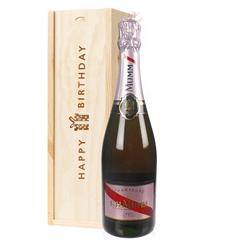 Mumm Champagne details a century and a half of passion. 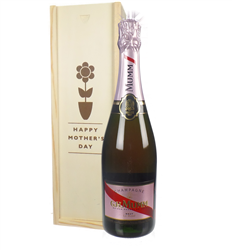 The Mumm Champagne house dates back to 1827 and is still one of the world's top bubbly brands. 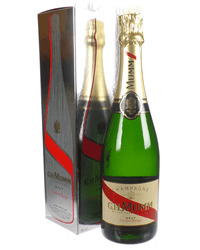 In the early 1850s after Georges Hermann Mumm took over as head, the company became known as G.H. 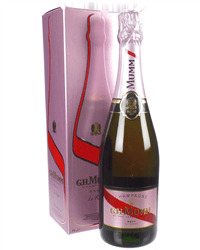 The red silk ribbon or Cordon Rouge was incorporated as a trademark in the mid 1870s and remains intact today. 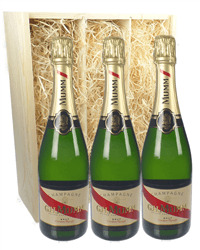 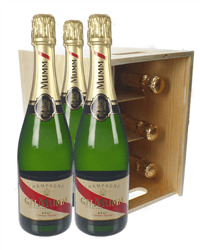 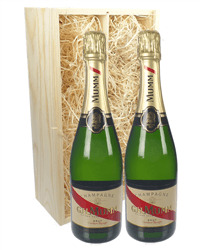 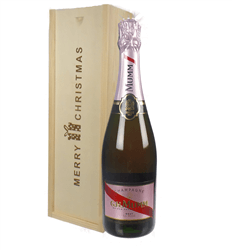 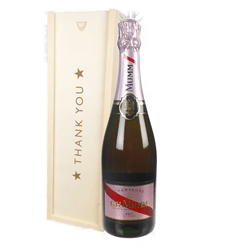 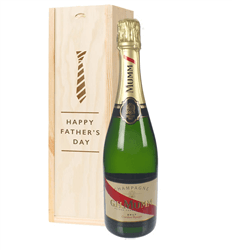 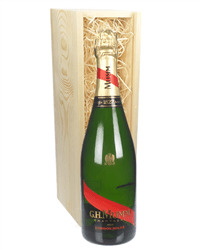 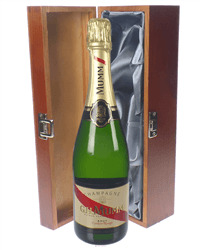 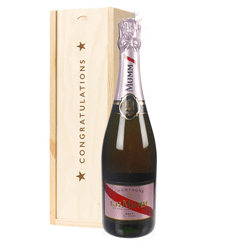 In 2005, G.H.MUMM became part of the French group, Pernod Ricard, the world's co-leader in wines and spirits and its sales top over eight million bottles a year in 150 different countries. 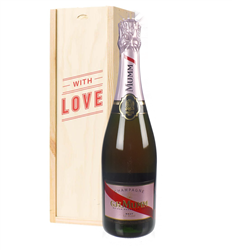 A complex blend of different crus, grape varieties and vintages, amplified by the addition of reserve wines, Cordon Rouge reveals the subtleties of all the great terroirs of the champagne region. 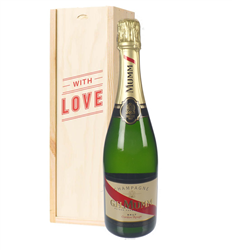 A complex blend of different crus, grape varieties and vintages, amplified by the addition of reserve wines, Cordon Rouge reveals the subtleties of all the great terroirs of the champagne region. Today more than 40 different crus provide grapes for Cordon Rouge, up to 25 percent of which are grand crus. 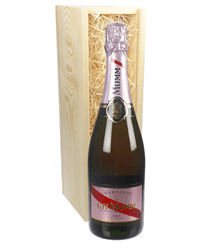 Cordon Rouge is cellar aged for three years after fermentation. 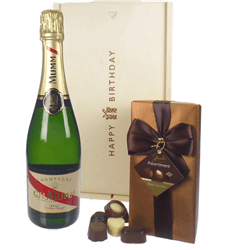 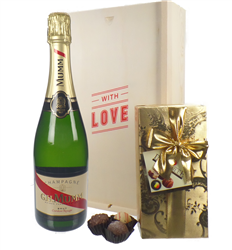 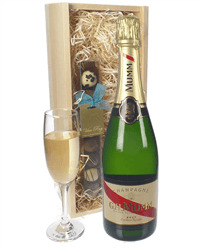 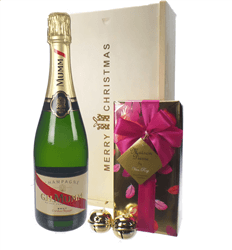 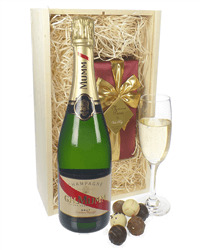 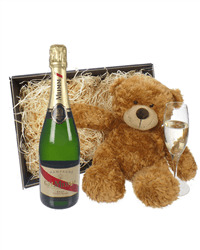 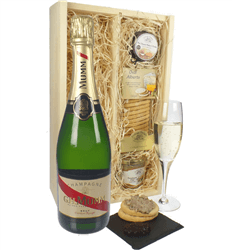 Looking to send mum a Champagne gift? 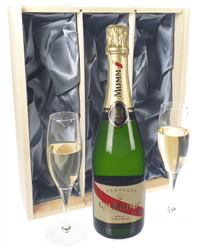 This could be your first choice.